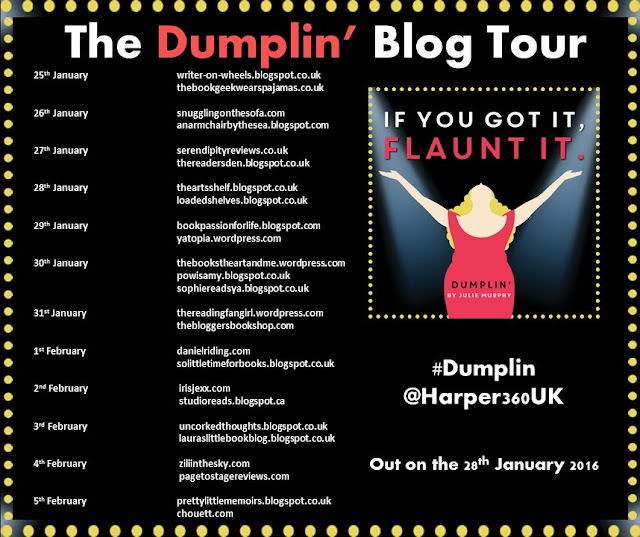 When I first saw Dumplin', I knew it was book love at first sight. Willowdean was such a bold, loveable character with a prismatic personality that made reading her story feel like watching your favourite movie (Dumplin' the movie, anyone? YES). Will has always been fearless and confident in everything she did and with her best friend; Ellen, by her side, she always felt like she could take on the world. So when Will takes a job at Harpy's and meets the animated and charming Bo, she falls hard. But what she doesn't expect is that Bo likes her back and might actually feel the same as she does. Even though he calls her beautiful and pays her attention, Willowdean can't help but feel exact opposite of how she's felt all her life about her body and sets out to find a way to reassure herself that she is beautiful and confident and does the thing that scares her the most. She enters the Miss Clover City beauty pageant, determined to take back her pride and maybe even change the town along the way. 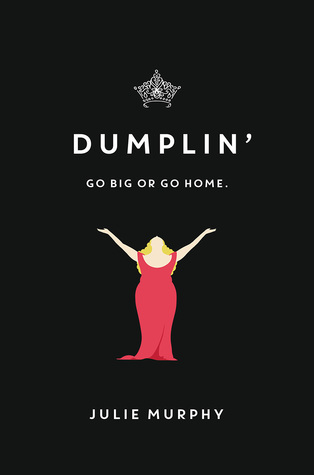 What I loved about Dumplin' went far beyond the characters and setting - it was the message of the book. 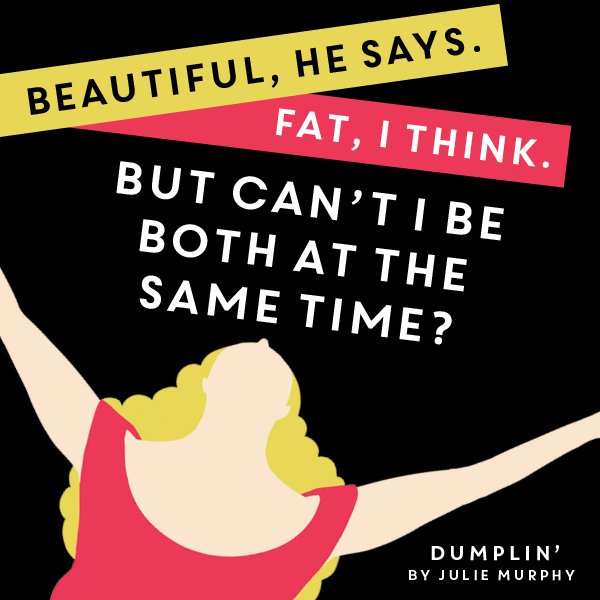 As a curvy girl myself, Dumplin' showed me that beauty, pride and stature didn't come from being thin and popular, it came from being yourself and content with who you are, inside and out. That thin and fat and all the in-betweens are beautiful, especially that we don't need anyone else's reassurance or permission to be comfortable in your own skin. Even though no one will ever be constantly happy with their looks or how they feel outside and in, it's okay to feel that way. So for me, Dumplin' went beyond being a story about Willowdean, it was much, much more in every single way. It meant that beauty and confidence weren't things you could buy or put on, it was a feeling that came with knowing the only person's opinion that matters is our own - and you're beautiful, just the way you are. Overall, Dumplin' goes far beyond a standard story. 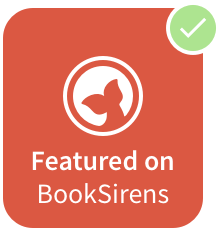 Through the red candy suckers, Dolly Parton songs, friendships and romances, Will was an extraordinary character with a powerful message that makes this book a bold, definite five-star read. Today is the last day of the Dumplin' tour! Make sure to stop by them all!